Warcraft was not the movie that many wanted it to be, at least if the critics are to be believed. And it certainly wasn't quite what Legendary Pictures was hoping for, either. The movie wasn't exactly a major blockbuster hit (at least domestically) that was meant to launch a big franchise, which was the intention. But director Duncan Jones is still holding out hope for Warcraft 2, and now he has shared some story details for his vision, should the movie ever happen. Flickering Myth brings us the story details, which were revealed by Duncan Jones after a recent screening. The director explains that, should he get to do Warcraft 2, it would follow Durotan's son in his adolescent years. Here's what he had to say about it. "This first film is about establishing the world, and showing Durotan helping his son escape a dying planet. So, to me, the idea over the course of three films would be for Thrall to fulfill that vision of Durotan to create a new homeland for the Orcs. So, it would be the adolescent years of that baby, and anyone who does know their Warcraft stories would know it's very much a Spartacus story that goes on with that character. I would basically follow that through. And with the human side of it, which is a little less clear of how that would follow, but basically, there is an aftermath to this film which would need to be completed. And on the Orc side you're very much following that baby, Go'el, known as Thrall in the universe, and how he eventually creates the Orc homeland." Say what you will about Warcraft, but it certainly sounds like Duncan Jones has quite the vision for this trilogy. Interestingly enough, Jones has a pretty damn good track record outside of Warcraft, with Moon and Source Code doing rather well with fans of sci-fi, if not massive commercial smashes. His next movie, Mute, is set to debut later this year on Netflix and, according to the director, will cap the trilogy that includes Moon and Source Code. All of that to say, he would probably learn some lessons from what went wrong with Warcraft and do some serious course correction with Warcraft 2. But the ball is in Universal's court at this point. 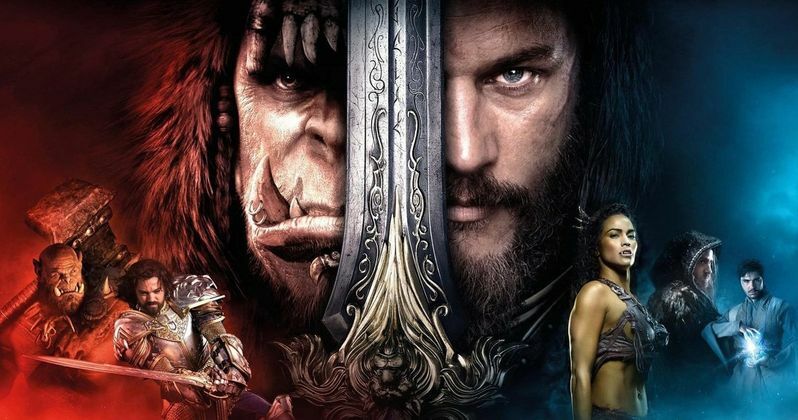 Warcraft, despite doing very poorly with critics, wound up being the highest-grossing video game movie of all time. Even though the movie only made $47 million domestically, which probably is less than the studio hoped it would make opening weekend, the movie grossed $433.6 million worldwide. If the movie hadn't cost $160 million to make, Warcraft 2 probably would have been given the green light already. Though, looking at a movie like Pacific Rim, which made $411 million worldwide against a $190 million budget, which is getting a sequel next year with Pacific Rim: Uprising, Warcraft 2 doesn't seem totally out of the question. If Universal pulls the trigger, Duncan Jones seems to be ready and waiting.